Honey saves your time and money. 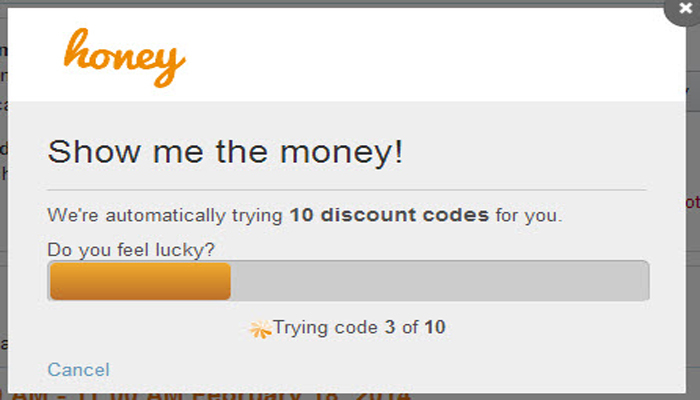 It automatically finds and applies coupon codes while shopping online relieving you from the code hunting. Likewise, it provides you the best deal prices of all sellers on Amazon. You also get cash back. It is extremely popular with five stars on chrome store. As the name says this extension is an easy option to connect with the people. 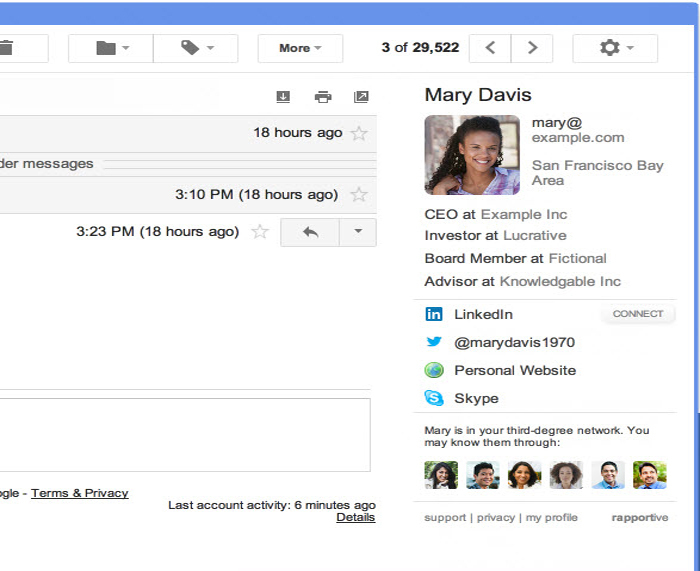 You can get LinkedIn profiles about your contacts right inside your Gmail. You need not take the trouble of searching for them. You can stay up to date with your contacts through rapportive without leaving your Gmail. 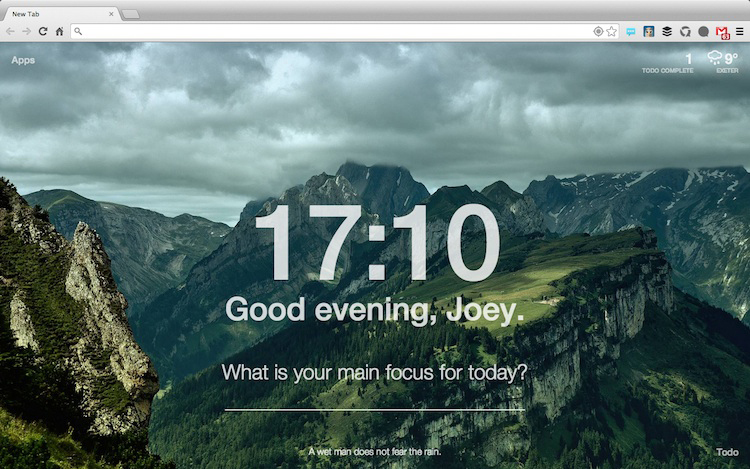 Momentum allows you to change your new tab page into personal dashboard featuring your to-dos, weather information, and other inspirational stuff. You can organize your to-do list in the coolest way. It is focused to make your day more productive and engaged. Boomerang lets you schedule messages to be sent or replied to at a later date. You can write a message now and save it to be sent later even when you are offline. You can also have reminders of those messagesand replies right inside Gmail. It also helps you to keep your inbox clean, letting you keep a tab on important messages. Free users can schedule ten messages a month; paid users can get other various unlimited features. Awesome screenshot app is the extension that helps you communicate with images. It’s an easy alternative to Photoshop to crop, blur and resize the image. 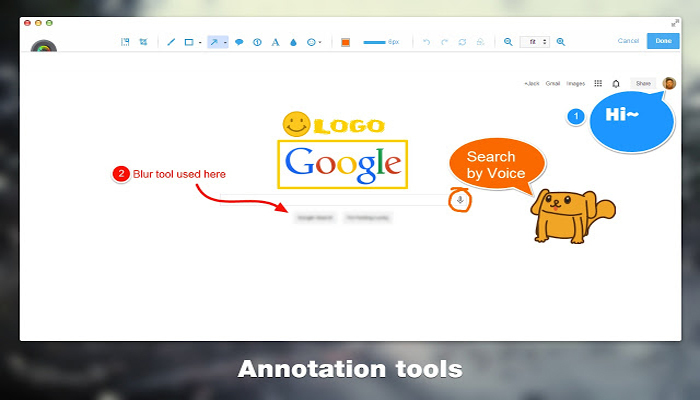 It saves yourimages permanently by making a project as well as lets you to share with your friends. Make your screenshot awesome with Awesome screenshot app. Previous How to send secret messages on Facebook?